Do you ever notice that a certain number or number pattern keeps appearing in your life? For example, you might realize that your address, birth date and ID code at your new job all contain the number 22. It may just be as such, but there could be a deeper meaning. In general, a recurring number is like a cosmic signal. It's the universe's way of directing your attention to a pressing matter or theme in your life that you may be missing, forcing you to pay attention to the issue at hand. 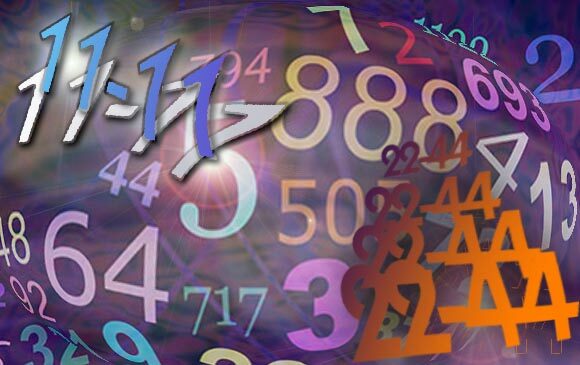 And while Numerology may be able to shed some light on the meaning of recurring numbers, the answer can only be truly determined by the person experiencing them, through self-examination, courage and honesty. The Master number 11 represents intuition and awareness, as well as wisdom you possess that's not being properly tapped into. Simply put: you have an inner knowledge you're not paying attention to. This could mean you're making bad decisions based on what you think you know, while deep down your gut is screaming at you to take a different path. If you've just started a relationship, this message could be to slow down and be careful. It could also mean there is a red flag you're ignoring. It doesn't mean you're dating a serial killer or that your new sweetheart is cheating on you -- just that there is something you need to be aware of before you grow closer to this person. The two most obvious translations of this number as it applies to relationships are these: one, you are ignoring a huge dealbreaker and need to end things, or two, for the relationship to be a successful one, you need to tread lightly. It may also require greater understanding of your new partner's situation or background. 16 is the number of danger, it's a Karmic Debt number! Your view of yourself and your situation clashes with reality -- this could be related to finances or emotional relationships. You're in for disappointment if you continue in the same direction. Take a step back and take a deep breath. Then, prepare to get brutally honest with yourself about who you are. Take some time to be quiet and meditate, but also be sure and ask those close to you for their input. Be honest about your doubt and fears, and be prepared to listen. Recurring 22s: Walk on through! 22 is a master number that taps into your productive side -- a part of your personality related to your job or responsibilities. Watch out -- when you notice the 22 recurring in your life, you may be ignoring big opportunities, or taking advantage of opportunities, but with way too much fear about what comes next. An open door can be scary, sure -- but that's no reason not to walk through! The lesson here is to put in the effort needed to make sure you're doing everything you can for yourself and your future. When you are this focused on success, it leaks out to every facet of your life -- the 22 reminds us what a huge impact our professional lives have on our personal ones. Luckily, these numbers are telling you something else, too: you have it in you to become a hard worker and an excellent employee or student -- you simply need to get on the path! The Master number 33 tells you that you have a natural gift to give to the world; your challenge is to put it out there. This could be something you know, an artistic talent you have or your ability to love and comfort other people. If you keep seeing these numbers, the message is that you cannot be happy until you impart your gift to the world. Ignoring a creative urge will only lead to frustration and ultimately anger. Find out a practical way to share your talents -- then do it!